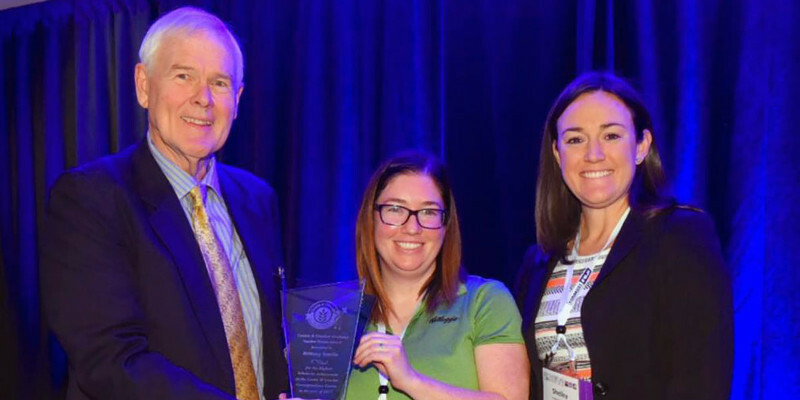 The American Bakers Association (ABA) named Brittany Tomlin, snacks process engineer at Kellogg Company, the recipient of the Vander Heide Award. Robert Commandant, production supervisor at Weston Foods, colonial cookies division, was named the Phelps Award recipient for 2017. “On behalf of the American Bakers Association, I congratulate Brittany and Robert on achieving bakery manufacturing excellence through education. These two dedicated individuals have set the example for the industry by furthering and strengthening their technical skills to advance their careers, their teams, and their companies,” said ABA President & CEO Robb MacKie. The Vander Heide Award is presented every year at the technical conference to cookie and cracker manufacturing course graduate of the Cookie and Cracker Academy who receives the highest score (or grade point average) for the graduating year. In addition, the Phelps Award is awarded to the graduating student with the second highest grade point average in the course. It was presented for the first time last year at the technical conference and was established in honor of the course’s dedicated pioneer of the correspondence course – Kathy Kinter Phelps. The awards are typically kept as surprises to the honorees until the unveil at the technical conference. 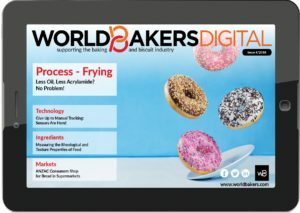 Tomlin earned her undergraduate and master’s degrees from the University of Florida in Biological and Food Engineering before joining Kellogg in 2012 as a food technologist, supporting the cookies and on-the-go innovation group. As a food technologist, Tomlin focused on process optimization, product scale-up, and test plan development. In 2015, she transitioned to the global engineering group as a process engineer supporting crackers. Her supervisor Shelley Crawford, director, global snacks process engineering, was in attendance for the awards’ ceremony. Robert Commandant is a production supervisor at Weston Foods Canada and has been with colonial for ten years. Commandant said he looks forward to implementing what he has learned from the course to his day-to-day-production. Photo caption: Pictured from left: Stu Vander Heide, Schulze & Burch Biscuit Company; Vander Heide Award Recipient Brittany Tomlin, Snacks Process Engineer, Kellogg Company; Shelley Crawford, Director, Global Snacks Process Engineering (supervisor of Tomlin).